I further wish them all insight, wisdom and determination in continuing this endeavour in the future, in better and higher forms. Because, all human efforts should evolve into improved and finer forms, especially in the sphere of knowledge. This means, the second issue of this journal should be better than the first; and the third better than the second. This is my wish and hope. My presentation is mainly on the theme of ‘a journal as knowledge and a vehicle of academic dialogue.’ In that context, I will also briefly review the present issue of the journal. An academic journal is about knowledge. A journal is a forum and a platform for academics, old and young, to equally contribute, bring their research and scientific findings into philosophical and practical use, and thereby contribute to the ‘public policy’ sphere, both nationally and internationally. A journal is a vehicle for academics to communicate, dialogue and interact with each other, and also to communicate with a larger reader community, nationally and internationally. A journal in humanities and social sciences is also a medium to critically evaluate the existing or old notions, bring new knowledge and values into focus, dispelling human prejudices and intolerance. Knowledge is the primary objective of any university, in this case the MIU. Therefore, I also have immense gratitude to the Al-Mustafa International University (MIU), here in Sri Lanka and in Iran, in supporting and encouraging this effort, the launching of the International Journal of Humanities and Social Sciences. It is believed that the first academic journal of the world was published in 1665 (353 years ago) by The Royal Society named ‘Philosophical Transactions’ in London. The name has some meaning for the present journal, and its first issue. Because this first issue of the present journal is about ‘Interreligious Dialogue.’ It is similar to ‘Philosophical Transactions. Those days, the journal ‘Philosophical Transactions’ was limited to the West, and more particularly to England. 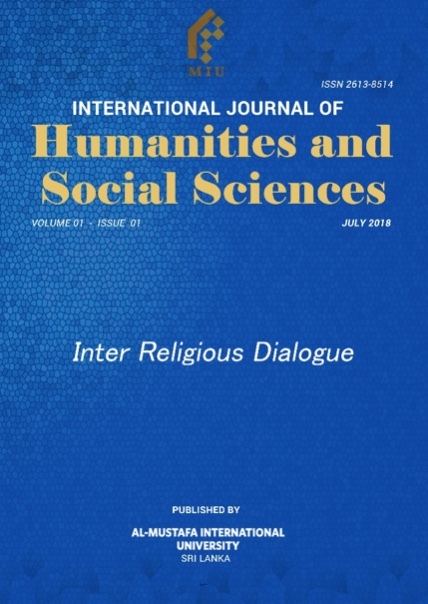 But this journal, IJHSS, intends to extend this dialogue, in a modest way though, into the international sphere, like many other contemporary journals in the world. More importantly, this is an initiative taken in the East – in Colombo, Teheran and Qom. There are over one million academic journals in the world today. In Sri Lanka, the number is understandably modest. I believe that is not more than 200 academic journals, both alive and dead or half dead. To my knowledge and experience, a major challenge for an academic journal in Sri Lanka, or in any other country for that matter, is its continuity and regularity. This would undoubtedly be a challenge for the IJHSS as well. Therefore, I wish that the MIU and the editorial board, make some special efforts to ensure its continuity and regularity. That is also the very reason why the broader academic community, today’s participants at this journal launch, should support and encourage this effort. As I understand, this journal has a commendable noble objective. That is to encourage young and junior academics to contribute. I do not see this objective in many other journals, nationally or internationally. Many journals unfortunately are the preserve or the monopoly of senior academics or closed groups. In this sense, this journal is also a training ground for young academics. This is undoubtedly a challenging task, especially for the editorial board. The journal is in English to be international. That is unavoidable and imperative. Whether we like it or not, English has become the lingua franca of the world at least for the time being. However, it is not necessarily the mother tongue of many potential contributors. This is a challenge that many journals in Sri Lanka have faced, and would continue to face, including the present journal. There are however more promising signs for this journal to succeed. First, this is an international journal with the backing of an extensive network of MIU universities in other countries. Therefore, the success I believe is well assured. Second is the availability of modern information technology for the journal to proceed and prosper. The IJHSS would not only be a printed journal, as I understand. It has its electronic version, which has the advantage of quick and wider circulation. It can also have a voice edition in the future, I believe. We are today living in a mixed, or more precisely in a volatile world. There are both good and bad, or positive and negative trends going on in the world. There are prospects for peace in some areas, and then there are more problems or dangers in other areas. There are five main religions in the world today: Christianity, Islam, Hinduism, Buddhism and Judaism, and the first four are conspicuously present in Sri Lanka. Around 70.19 percent are Buddhists, 12.6 percent Hindus, 9.7 percent Muslims and 7.4 percent Christians. Ethnicity and religion are largely intermixed, although not the same, like in many other countries. 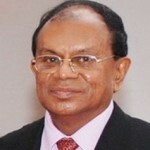 Sri Lanka has been continuously facing ethnic related disagreements and conflicts, underlying also religious factors. Unfortunately, more overt religious tensions, cleavages, conflicts or attacks have emerged in recent times in the country. This is one reason why the launching of this journal is practically important, as an eye opener and a vehicle of dialogue. When you refer to all religions, their doctrines and philosophies, they are all peace loving and intend to work for the humans, spiritually as well as socially. Admittedly, there are differences between different religious doctrines and practices. There are also different civilizations and/or cultures based on religions. None of these are reasons however for prejudice, animosity or conflict. In my opinion, no religion or any other ideology would be in a position to claim hundred percent correctness. It was in 1979 that the then President of Iran, Mohammad Khatami, proposed to the UN that an initiative should be undertaken for a ‘dialogue between civilizations.’ It was on that basis that the UN declared the year 2001 as the ‘Year of Dialogue Among Civilizations.’ This was even before some people opted to argue about The Clash of Civilizations (Samuel P. Huntington, 2003). As it said, I should emphasize, ‘interreligious dialogue constitute important dimensions of the dialogue among civilizations.’ This means what this journal professes is an important dimension of ‘dialogue among civilizations and cultures’ in a world scale. That was a resolution. What is launched today is a journal, containing academic discourses, more or less emphasizing the methodology of dialogue or the dialogical method. Let me again congratulate the chief editor and others in bringing this beautiful intellectual product. It is nicely formatted and it is more or less up to the international standards. All necessary elements and information of an international journal are there: (1) copyright information (2) peer review policy (3) about the editors and authors (4) content details and (5) guidelines for potential contributors etc. I must say, it is a 9+1 product. It contains 9 thematic articles and 1 book review. There is a good balance between 5 local contributions and 5 international inputs. Let me first emphasize the two important common features in all articles. First is that all are very critical on the themes that they have chosen, but not pessimistic or negative. Secondly, all are arguing against all forms of extremism, violence and terrorism. They all take ‘interreligious dialogue’ and/or engagement as means for the objective of achieving peace, reconciliation and harmony. However, in terms of the themes and substance these articles are immensely diverse. For example, while Moragaswewe Vijitha Thero explains the Buddha’s position on religious amity, Roberto Catalano explains the contemporary position of the Catholic Church, from the Second Vatican Council to Pope Francis. The Islamic position on the subject is explained in several articles, including in the book review by Abbas Ali Shameli. What might be lacking in the present issue is Hindu perspectives. In the Sri Lankan context, Premakumara de Silva raises the question ‘Can Adam’s Peak be a Symbol of Peace and Reconciliation?’ outlining the historical background of its multireligious nature. This is enlightening especially when you read it with Moragaswewe Vijitha Thero’s article explaining quite thoroughly the Buddha’s position on religions. Premakumara not only questions the post-colonial position of the Buddhist establishment, but also throws some light on how this contradiction might be resolved. In his speech before me, he has also highlighted similar contradictions inherent in all religions unfortunately. I am not in a position to review at length any article, but commenting on some. Therefore, pardon me if I do any injustice to any author in the process. I found Thowfeek Ibrahim’s comparison of ‘just war theory’ and the ‘holy war doctrine’ quite pertinent and innovative. I also found Peter Admirand’s ‘Solidarity with the Religious’ also innovative and quite exciting, explaining or advocating the possibility of co-existence between ‘religiosity and secularism.’ This is perhaps what I am personally admiring. 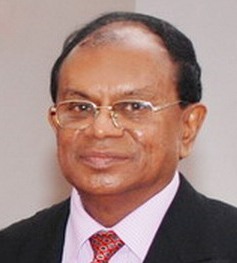 He is also advocating a new dimension to the dialogue, going beyond interreligious dialogue. To be precise, he is advocating a new dialogue between ‘religious and secular’ advocates. In this first issue, we have two very critical articles, one on the role of the Media, and the other on the role of the UN, on interreligious dialogue and amity. Syed Ali Aon’s article on the media while critically assessing their international role after 9/11, suggests that one gateway for religious amity might be through a ‘new form of a media culture.’ I was also extremely happy about Fawas Farook’s critical article on the ‘Role of the UN in Times of Religious Intolerance.’ It is analytical, sufficiently articulated and thoroughly evidenced based, although I might not completely agree with his idealism. He is apparently a main mover behind the present Journal as its Coordinating Editor. Last but not least, I should comment and commend on Jehan Perera’s article on ‘Interreligious Engagement to Foster National Peace Building.’ It appears to me that he is little sceptical or cautious about ‘dialogue.’ Therefore, he uses the term ‘engagement.’ As I mentioned earlier, Peter Admirand has taken a step forward from ‘interreligious dialogue’ and proposes a ‘religious and secular dialogue.’ Jehan has taken a step sideways and emphasizes the ‘engagement,’ outlining many common activities that could entail such an engagement. In concluding, I would like to emphasize the complex contexts that we are facing in advocating and promoting interreligious dialogue in Sri Lanka and in other countries. On the one hand, we have majority religions that people adhere to quite strongly. On the other hand, almost all countries are multireligious and also increasingly secular. We should not see much contradictions or dichotomies in these matters. For example, Sri Lanka is dominantly a Buddhist country with other religions or multireligious mixtures and secular orientations. This is a fact. Let me therefore conclude this presentation by quoting the Twelfth Edict of Emperor Asoka, who in fact pioneered Buddhism in Sri Lanka. “One should not honour only one’s own religion and condemn the religions of others, but one should honour others’ religions for this or that reason. So doing, one helps one’s own religion to grow and renders service to the religions of others too. Religions are, ultimately, “A Way of Life”. Religions have divided humanity over the centuries and caused immense suffering and deaths. Hundreds of scholars have wasted their time and energy trying to establish ‘superiority’ of one over the other. “Heaven” and “Hell” are here & now with us. No one knows what happens after death. A “universal” religion could/should be “Do Good and Be Good” in every sense. This way, ALL will be happy and contented – contentment promotes happiness more than any other human mental state. This “MIU” is going to promote more wastage of human mental and physical resources and energy, when these should be used to promote/improve the quality of life for mankind – which has to ‘escape’ to another planet before ours is engulfed by our star – The Sun. Thank you for the nice build-up … … the rising crescendo … … leading to the final knockout punch a la Asoka to all the religious nutjobs, retarded fundamentalists, and raving zealots of all kinds … … that they are in fact digging their own graves. Very pertinent to the current situation in the country. This is a Shia university and it’s aim is to devide Muslims in SL.and abroad. Please protect our community from this evil of misguided group..
May Allah protect all ..
It’s a sign for the yawmul Qiyama. Thank you Dr Laksiri Fernando for bringing to our attention the launch of the International Journal of Humanities and Social Sciences (IJHSS) by the Al-Mustapha International University (MIU), Sri Lanka Branch, Chief Editor, Prof. Premakumara de Silva. Laksiri expects the journal to be “A Vehicle Of Academic Dialogue”. Laksiri tells us that the first issue of this journal is on ‘Interreligious Dialogue’. Sorry Laksiri, rationalists (notorious for inventing new words) will say the ‘dialogue-ians’ carry a back-scratcher in one hand and a dagger in the other hand. In the issue, to quote Laksiri ~ “……….all are arguing against all forms of extremism, violence and terrorism. They all take ‘interreligious dialogue’ and/or engagement as means for the objective of achieving peace, reconciliation and harmony”. Will someone take up ‘Terrorism: The creator of’ as a research topic. For example Prof Rohan Gunaratne (of NTU, Singapore) is often presented as an Expert on Terrorism’ but NEVER addressed this. Often ‘Terrorism’ is a label of convenience for ‘Liberation movements’. For example were Jumo Kenyatta, Nelson Mandela, Ho Chi Ming, Castro, Gandhi ‘terrorists’? Are the ‘Liberation Theologists’? Was Hitler a ‘terrorist’? Closer to home – is the genocide of Rohingyas by the Burmese Junta irreligious? To cut a long story short: We must aspire for ‘Secularism’. It looks as a good beginning. Wonder whether Dr Laksiri seen Dr Rajith’s baby Boy’s Wedding Photos? Compare that to to the poor slum dwellers even in Wellala Gardens and their kiddies…. With all due respect, has even the average Joe Blow in Colombo any interest in these Journals?. Then we have 5 Million at the bottom of Srilanka, who live under Two & Half Dollars a Day. What can they do with these Journals?.. Their interest is only finding their Daily Bread for them and their Kiddies. And line up at the Government Hospital when the Kiddies fall sick. Before these learned people teach them Inter Religious Dialogue, they should teach Dr Ranil and his Cohorts about Nutrition , Health Care and Shelter for the Poor. Not make life miserable for the poor majority with their Yahapalana Shenanigans which are totally focused on stuffing the poor and making the rich Richer. You will see how poor the clan is. Can we do a hat collection to alleviate them from severe poverty? Or another 10 year term in office? Adam’s peak was created by tectonic movements. The Evolution-skeptics may not agree. Pushpakumara must look at the destructions in the name of Religions – for example, the current genocide of Rohingyas. A secular-democracy, though not ideal is better than the present election-democracy. Of course a religion-democracy is far far behind.